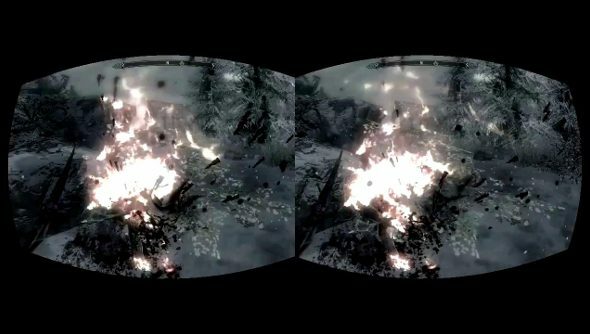 ZeniMax Media’s legal dispute with Oculus Rift developer, Oculus VR, won’t affect its subsidiary’s decision on whether or not to make VR games for the device, Bethesda told CVG. Bethesda’s parent company claims that John Carmack took ZeniMax’s property and used it to assist in the development of the Oculus Rift, which the id co-founder has denied. While Bethesda hasn’t announced any plans for the device, some of its titles have been given unofficial support. And with the company’s focus on first-person open-world games, Bethesda and the Oculus Rift could be a good fit. Undoubtedly, however, something of the scale of Skyrim would be very ambitious. “We have and will continue to make decisions that we think are in the best interests of our games and our audience,” continued Hines. This is contrary to what Carmack said in regards to why he left id. He explained that ZeniMax wouldn’t allow games he’d been involved in make their way onto Oculus Rift. So it doesn’t necessarily sound Bethesda would have a choice in the matter if ZeniMax put its foot down.